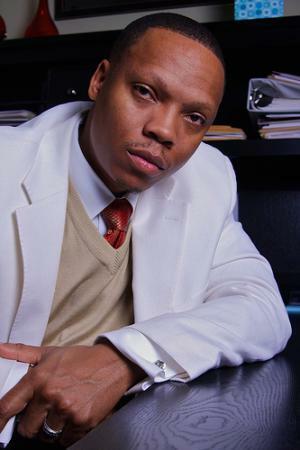 A notable personality on the American music sector, do you wonder how rich is Ronnie DeVoe? As estimated by sources, Ronnie counts his net worth at an amount of $500,000 as of early 2016. He has been able to amass this wealth because of his successful career in music. The releases of his albums, the concerts as well as his musical tours have significance in adding to his wealth over time. Roxbury-raised Ronnie was introduced to the band New Edition by his uncle and the band’s choreographer, Brooke Payne; eventually, Ronnie became the second last member to join the band, Johnny Gill being the last one. The group found fame as it competed in a talent show and won second place, upon which New Edition was signed to the Streetwise record label by music producer Maurice Starr. As the band went on to find popularity in America, Ronnie became a part of the biggest selling boy band in the country during the mid- and late-80s, which contributed significantly to his net worth. However, New Edition was disbanded in 1990, which enabled Ronnie and his fellow band members Ricky Bell and Michael Bivins to form another group by the name “Bell Biv DeVoe” which also became popular. The group sustained Ronnie’s popularity in the market, as their first album – “Poison” – sold more than five million copies, while also spawning five single hits, which included “Poison” and “B.B.D (I Thought It Was Me)?”. After the success of their first album, the group released their next album “Hootie Mack” in 1993, and subsequently their third album “BBD”, but not until 2001.